A man is upside down. His right ankle is tied to a tree branch and his torso spans the length of the trunk. He is awake, and alertly stares at the viewer. His left leg is bent at the knee, crossed behind his straightened and bound right leg. His hands are not visible and are behind his waist. Most interestingly, he has a halo like those seen in medieval paintings of saints and his long blonde hair stretches downward, obscuring the top of his spiritual crown. 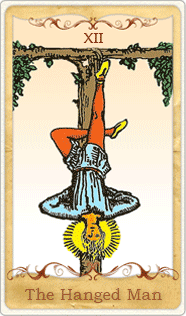 The Hanged Man has put himself in this position and there is no way he can win. And yet, that halo lets us know that he may be about to claim a sizable victory. He was not attacked, nor forced to be where he is, nothing is disheveled besides his hair hanging down due to simple gravity. With his hidden hands, he is not letting us see his manipulation of the situation. His bent leg indicates that he is getting quite comfortable being helpless. With some cards in the deck, the question may arise as to whether this card illustrates you (the person receiving the Tarot reading) or if it is a depiction of someone in your life. 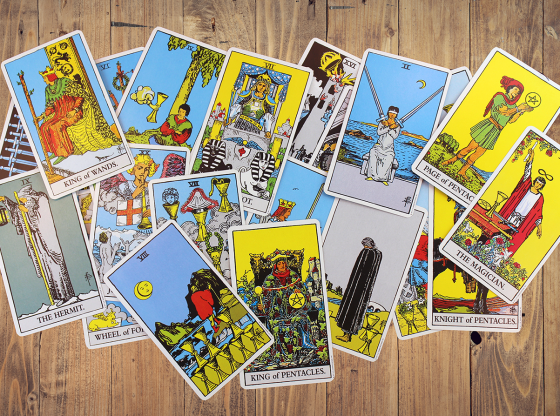 It is critical for you to be brutally honest about your behavior, your character and your tendencies when discussing the possibilities of a card’s personification. 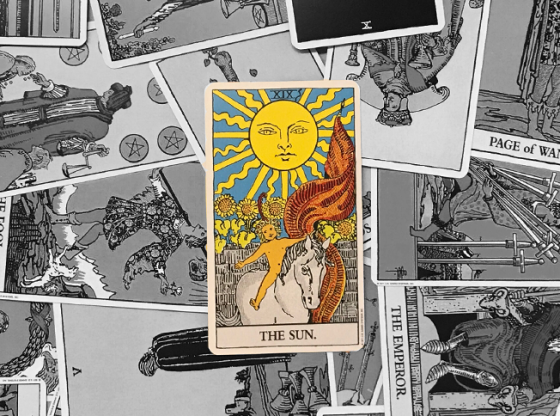 If The Hanged Man represents you in your reading, you are being advised by the Tarot deck to surrender, to change course or to let the universe solve a situation without your input. If this card instead represents someone in your life, you are being informed about manipulations that may be taking place and the overall strategy of a person with whom you are engaged in a battle. 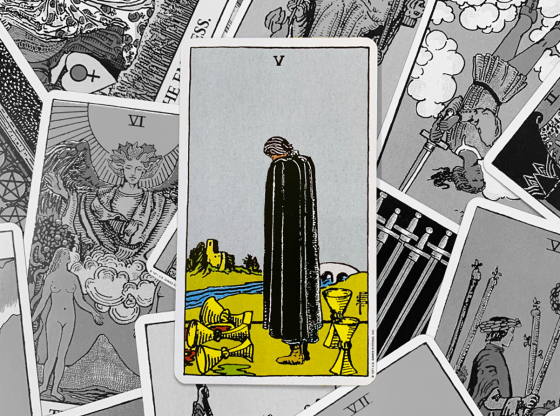 The insidious nature of The Hanged Man card personifying someone else in your reading is that you often do not realize that this person is your enemy. The inherent helplessness and seeming victim status of The Hanged Man as illustrated by the card is, fundamentally, a mask about the reality of the situation and the person behind it all. 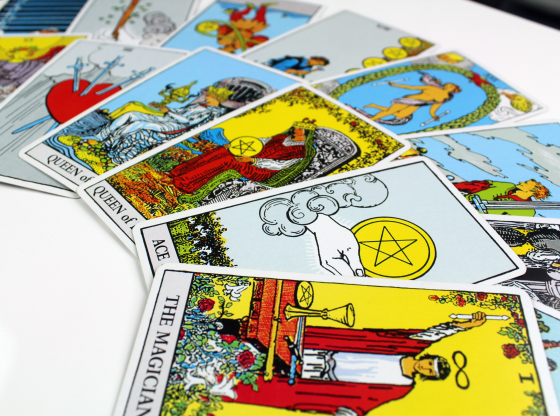 A Tarot reading places cards into positions of the past, the present and the future. The Hanged Man in the past position underscores that your current situation began with a letting go, a retreat, a foregoing of pleasure or reward in order to not be controlled by simple temptations. You are where you are now because of a decision to leave things behind or let them all settle themselves. In the present position, you are being urged to avoid conflict. Sometimes an enemy so dearly wants a fight that the way to defeat this person is to deny him or her that one thing that is most deeply desired. To withhold the confrontation is to be the winner in these situations. In the future position, The Hanged Man foretells of a coming battle and advises you to not be seen as an active aggressor. Although the Tarot deck is hundreds, if not thousands of years old, The Hanged Man card is often drawn when condo association meetings are getting chaotic and disagreeable or when a cranky neighbor is threatening the peace and stability of those around them. The Hanged Man reminds us that the best victories are often battles avoided while an enemy destroys himself. 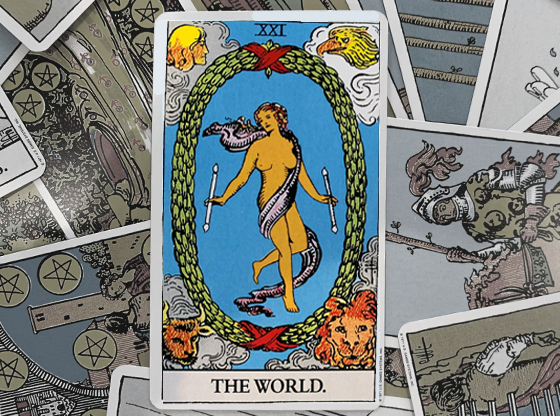 As a member of the deck’s Major Arcana, The Hanged Man dominates most of the cards around him. Suited cards are often sublimated in the presence of a member of the Major Arcana. When there are lots of Sword cards around The Hanged Man, an argument or litigation is building to a climax and the need to be passive is quite pronounced. Combining Cups cards with this card serve notice that being the pursuer in a romantic relationship will lead to disastrous consequences while being the one on the receiving end of a seduction could lead to extraordinary pleasure. 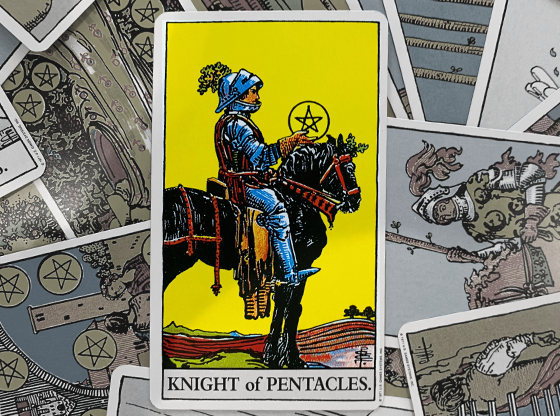 Pentacles and The Hanged Man are a warning from the Tarot that you might be controlled by greed and that the best way to make money is to follow your bliss and approach material possessions as needs instead of wants. 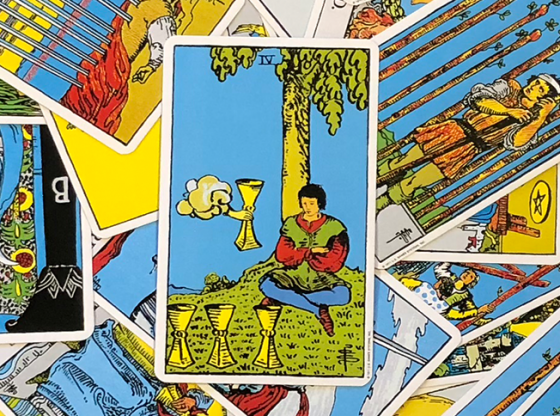 Cards from the Suit of Wands in a reading with The Hanged Man are an indicator that your creative pursuits are in need of work and refinement. 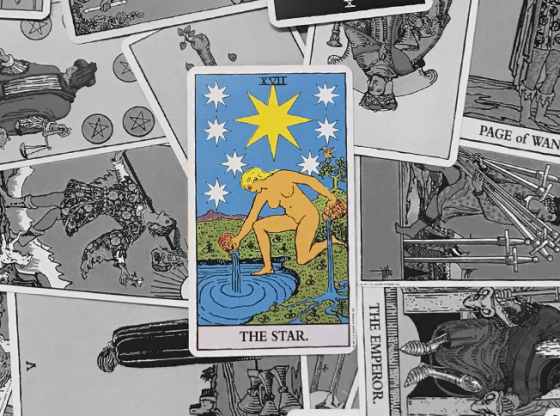 People in the creative fields who see this combination are often thinking of signing with a manager or promoter and this is the Tarot deck’s way to scream a negative warning about such an agreement. Patience and passivity will bring a better offer and a more honest businessperson may come your way. The Hanged Man combines well with some of the more nefarious cards of the Tarot deck. When The Devil card appears with The Hanged Man, it may be easy to kick a drinking or smoking habit by going cold turkey. When The Hanged Man combines with The Tower card, a roommate situation will resolve itself and you need not get into a battle. This combination also indicates that accepting a foreclosure of a property and moving on might be the best course of action in a real estate investment gone sour. When The Hanged Man is in a reading with The Empress or The Emperor, a domineering woman or man in your life is best dealt with by passivity instead of confrontation. Bore the bossy people and they will look for others to boss around. 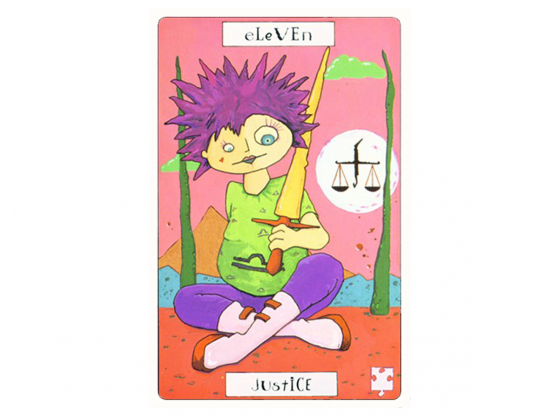 The number twelve card of the Tarot deck, The Hanged Man is the higher echo of the number two card, The High Priestess, a Tarot card devoted to submitting one’s self to the knowledge of an all-powerful universe. This submission reaches its zenith with The Hanged Man giving, letting go and letting what is to happen simply happen. 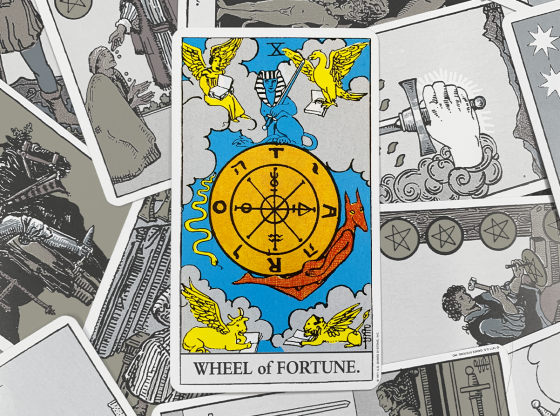 Learn more about the connection that The Hanged Man shares with the other cards numbered two in the Tarot deck.